Off to study abroad? Travelling during your gap year? Heading overseas for business or for leisure? My Baggage can help you to travel luggage free! 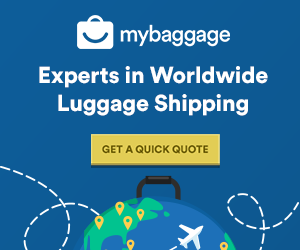 My Baggage provides international luggage shipping services to 200+ countries Worldwide, with super fast transit times and fantastic low rates. Our handy service is complete with convenient door-to-door services and full online luggage tracking. My Baggage gives you the option to travel luggage free by transporting your luggage on to your destination; and it’s super easy to book your luggage shipment with us. Our online booking system is available 24/7 and takes just a few short moments to complete. You can simply start by getting a quote straight from our homepage. You can obtain quotes for shipments going to and from, for example; Los Angeles to New York, USA to UK, even from anywhere in Europe to USA! We have hundreds of routes available. Once you’ve booked with us, we’ll send you shipping labels to print and attach to your items. After that, we’ll collect your shipment and deliver it straight to where it needs to go. Travelling luggage free means that you can eliminate the stress of transporting all of your stuff and just enjoy your journey abroad. My Baggage takes care of it all for you! My Baggage was founded to provide affordable, reliable and convenient luggage shipping services for those who wish to travel luggage free. Whether you’re off to study at an international college, heading overseas for business or even just off on an exotic holiday; we strive to make sure your international travels are as stress-free as possible. My Baggage offers convenient door-to-door luggage collection and delivery services. There’s no need to leave your items at a drop off point and certainly no need to venture out to collect them. We’ll take care of it all for you – your only job is to enjoy your travels! Once your items have been collected, you’ll be given access to full online luggage tracking information, which will allow you to monitor the progress of your shipment every single step of the way. The tracking will notify you when your shipment is out for delivery! At My Baggage, we understand that when it comes to shipping luggage overseas, speed should always be a top priority. Travelling luggage free sounds great; but it can only be a truly great thing if your luggage arrives at your destination when you need it to. No one wants to be left waiting days, even weeks for their luggage to arrive. Thankfully, My Baggage offers super fast transit times on all routes. We even offer next day services on many of our routes. The estimated transit times for your luggage shipment will be displayed when you obtain a quote. Get a quote to view estimated transit times! At My Baggage, we understand that the desire to travel luggage free is increasing more and more with each passing day. After all, everyone wishes to have one less thing to worry about whilst they travel. For this reason, we strive to make our luggage shipping services within UK, USA, Europe and Worldwide as affordable as possible. We understand how important it is to our customers to know up-front exactly how much you will be paying to ship your luggage overseas. This is why we have a quick online quote system that tells you exactly how much your shipment will cost right from the get-go. 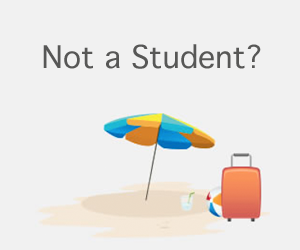 Although our services are tailored for students, My Baggage offers affordable and convenient luggage delivery services for everyone; whether you’re a business user, a holiday-maker, an expat or simply moving house. No matter your reason, absolutely anyone can take advantage of our competitive prices and excellent services. In fact, many savvy business users regularly avail of our convenient services in order to relocate their employees all over the world!